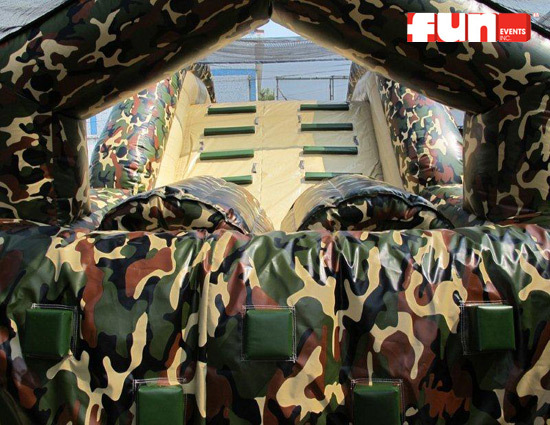 Battle your opponent all the way through the Delta Force Extreme Camo Military style obstacle course, starting at the inflated arches. After that you encounter the pop ups, followed by a climbing wall and then to the top of the boot camp like military obstacle style slide. 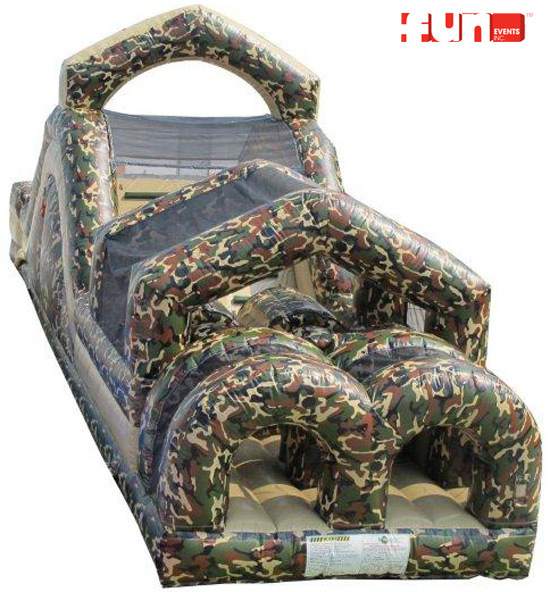 Whoever has the fastest time to slide down and out wins.